The Falcons got some great news when it comes to Julio Jones for Thursday Night Football. 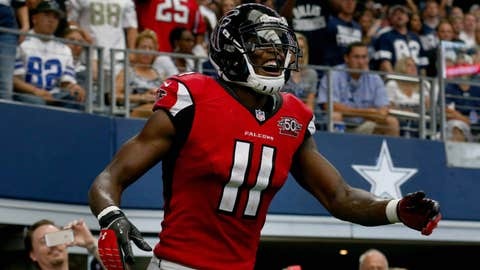 The Atlanta Falcons got a double-dose of good news on Thursday, as it was announced that not only would Julio Jones play, but that he’ll likely play quite a bit as well. According to Tracy Wolfson of CBS Sports, head coach Dan Quinn has stated that the team’s star wide receiver will not be on a pitch count Thursday night. The Falcons are on the road against the rival New Orleans Saints, and while the Saints are just 1-4 this season, Atlanta should fully expect to get a fight in prime time. MORE NEWS: Want stories delivered to you? Sign up for our NFL newsletters.